Here in Phuket, Thailand most of the things to do are centered around the ocean and beaches. Diving, snorkeling, boating, and many more things along those lines. There is much more to do in Phuket and I have written about some, you could check out the Phuket Tin Mine Museum, or the Phuket Town Walking Street, or the Aquarium. These destinations are fun and give a little variety to your time in Phuket. You should definitely check them out. As with any place that you may spend your holidays, there are usually places that you SHOULD NOT go to or support with your hard-earned dollars. Here in Phuket, there are three places that I would like to share with you. 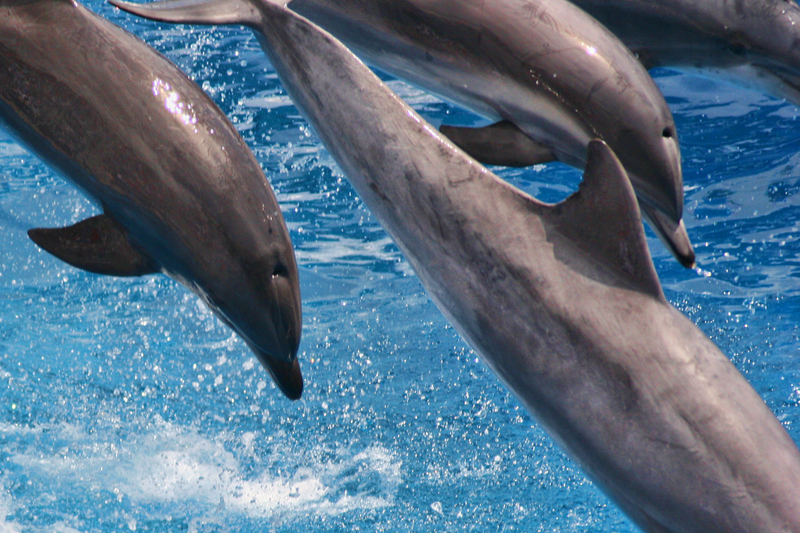 This newly opened and much-contested swimming pool where Dolphins are being held captive is a complete and utter devastation. I drive by this establishment on occasion and I do not know how they can actually fit a dolphin in such a small area, let alone many dolphins. Despite that the owners and operators of the Nemo Phuket Dolphins say that their dolphins were born in captivity and are used to being kept in small spaces, I still believe it is not right. And I am not the only one. There are a growing number of people that are protesting the dolphin show and want it to be shut down. Because of this Nemo Phuket Dolphin Show offers discounts on tickets, trying to get anyone to come to their shows— please do not go here and do not support such blatant mistreatment of dolphins. You can actually find boat tours here where you can see dolphins swimming in the open water, go on those instead! I admit that I have been to many a zoo in my life. Singapore Zoo is one of my favorite daytime activities when we visit the vast metropolis. 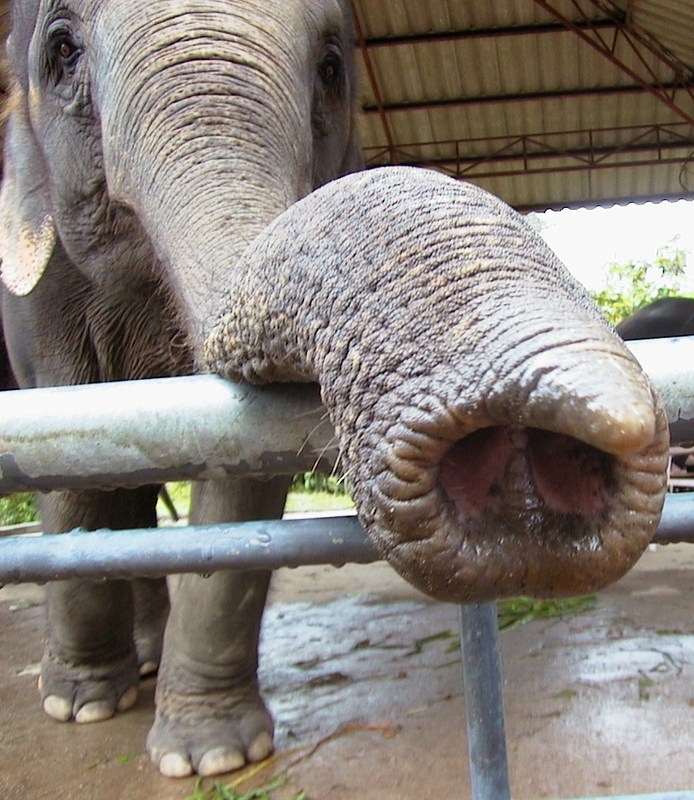 I also love the Chiang Mai zoo (though I admit it has been about 8 years since I have been there). The zoo here in Phuket is one that I will never enter. The pictures I have seen of the animals in small cages, the lack of “natural” habitat for the animals, and tigers laying out on a pedestal and chained so the zoo patrons can take pictures with it are depressing. If I get that feeling from the pictures, there is no way that I could spend money to see that in person. To better explain the Phuket Zoo, I want to send you over to Jamies Phuket Blog, he took his children and wrote an article about it. This next article is pretty inflammatory, but the pictures are a good indication of why I do not want to go to the Phuket Zoo. Okay, so this heading is pretty vague, I know, but if I write about every elephant show, tiger show, snake show, monkey show, you will be reading all week! I feel that this is also the most difficult one to say no to. Everyone that comes to Thailand wants to ride on an elephant and see monkeys. It’s part of the Thailand experience. I admit that I have been on a few elephant rides and probably will take a couple more in my life here. I try to find the most well-treated elephants to support by using Trip Advisor and researching the area that I am in for recommendations. So far in Phuket, I have not found or heard of a good place to go. Here in Thailand, asking someone you don’t know may not be the best way to find a reputable place either, as often taxi drivers, guest house owners, and others are given kickbacks for sending you a certain companies way. This advice really goes for all the animal shows in Phuket. Just a quick rant about tiger shows here in Phuket, I am pretty sure that they are treated fairly well (if you have heard otherwise, please comment below), but I just want to share the following articles about people being hurt by tigers at these places… there is no way I would ever ever take Z near a tiger. (Tiger attacks 4 year old girl, Tiger Mauls Tourist) They are wild animals and are unpredictable… just too scary for me. When Z and I went to the Bird Park here in Phuket, I was vigilant about observing the bird’s behaviour and happiness, I was hyper aware of how much room there was in each bird pen. I looked for birds with missing feathers or apparent stress reactions. And I have to say that I was impressed with their care. It seemed to me to be an okay place to spend my money. There have been other places, such as the Elephant Riding in Hua Hin that we went to, that left me with a sour taste in my mouth and I still feel regret about going there. But mistakes happen, and it helped me learn what to look for when deciding whether to participate in any kind of animal show or experience. When it comes to whether you support a destination that uses animals, research, use your best judgement, and the information you have at hand, heck you can even write me (about places in Phuket) and I will help you! Now it’s your turn! Would you go to any of the destinations I listed above? Have you been to something like them before? What is your opinion on them? Leave a comment and lets chat! This is a really great post and I hope a lot of people read it and stay away from these places!!!! Thanks Mel! I hope so too! Oh dear so sad to hear of the animals being treated so poorly. Thanks for the heads up! Sue Slaght recently posted…Who is the Funniest Of All? What a great post – advocating for the well-being of animals! Love it! aviets recently posted…Musing on the boy’s club. Great for people to know where not to go, you don’t often find this information out there. Horrific to read of how these animals are treated. I felt so bad after seeing the bears at the Berlin zoo too. They looked so miserable. Good article . I know it’s a big problem in Thailand and other places, hopefully more people will think before visiting these kind of places. kemkem recently posted…San Antonio Winery, L.A – A treat for all wine lovers! That’s what I am hoping Kemkem. It’s funny, the Bears are what got to me at the Taipei Taiwan zoo. They just looked so sad. Yeah. Animal shows. I’ve gone to Sea Life Park in San Diego when I was a kid and two elephant shows here in Thailand. One of them claimed that it was a rehabilitation center (the one in Lampang) and the other was in the popular touristed Mae Rim area of CM. I honestly don’t know what to believe, except that I want to believe all animals are treated well. CM Zoo surprisingly looks good as far as zoos goes. I think there is something humane about caring for animals in captivity, but it has to be done right! When it’s not, then who the hell wants to see sad animals? Lani recently posted…Identity, what is it good for?